Justice Dept. 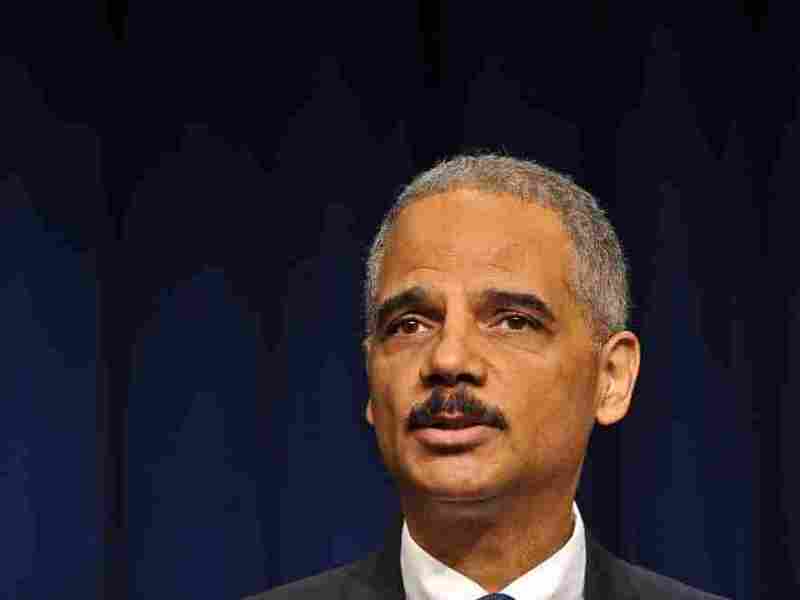 To Probe If News Corp. Hacked Sept. 11 Families : The Two-Way Attorney General Eric Holder told relatives of people who died in the Sept. 11 attacks that a preliminary criminal investigation into the allegations had been opened. But even if the hacking took place on U.S. soil, investigators could run into trouble with the statute of limitations. Attorney General Eric Holder and senior FBI officials on Wednesday told relatives of people who died in the Sept. 11, 2001, attacks that they had opened a preliminary criminal investigation into allegations the victims' phones had been hacked by News Corp. In a 75-minute meeting at Justice Department headquarters, Holder assured the family members that authorities were taking their concerns seriously. So seriously, in fact, that criminal prosecutors at the Justice Department in Washington, the U.S. Attorney in the Southern District of New York, and FBI agents in both cities were all pursuing leads. "People have asked us, do we have any evidence?" Norman Siegal, an attorney for the relatives, told reporters. "The only thing that we respond is that apparently the hacking did occur in the U.K. and the logical question is, if it happened in the U.K., did it occur in the USA?" Family members say the Justice Department didn't provide details about the early-stage investigation or offer many glimpses into its strategy for answering that central question. The FBI is working closely, though, with counterparts at Britain's Scotland Yard, who have more access to documents and witnesses who can talk about News Corp. activities. The meeting grew emotional at times, especially when mothers of people who died spoke to authorities, a source told NPR, in part because the 10th anniversary of the attacks that killed nearly 3,000 people is only a few weeks away. Jim Riches, a retired New York City firefighter whose son Jimmy was killed, said he's convinced the U.S. probe won't be a "whitewash." "Eric Holder said this was disgusting if anybody has done it, unconscionable, and he did not in any way want anybody who would possibly have done that get away with it," Riches said. "And he promised us today that there would be full justice if these allegations are true, which we hope they are not." Family members told reporters gathered outside the Justice Department on Wednesday afternoon that they offered to share cell phone numbers with the FBI, but investigators didn't take them up on that request. Relatives also wanted Justice to expand the investigation to include possible email hacking, and to randomly sample the phone and email records of a smaller number of people who perished on Sept. 11, 2001, to determine whether any hacking had occurred in their accounts. Charles Wolf's wife, a British citizen, died in the attacks. "I hope that it comes down to the fact that nobody did anything wrong, but the fact of the matter is, after what we saw happen in Britain, we have to investigate this here," Wolf told reporters. Hacking into phones or computers is a criminal offense that carries as much as five years in prison. The same penalties apply to people who make unsuccessful attempts at hacking. But even if the hacking took place on U.S. soil, investigators could run into trouble with the statute of limitations, since the alleged intrusions would have taken place almost 10 years ago. Federal sources have told NPR in recent weeks that they've found little evidence so far to substantiate allegations that Sept. 11 victims and relatives were hacked, but the probe is in the early stages and they don't want to prejudge it. Holder and the FBI didn't provide a timetable for the investigation, telling relatives, "it's just got to flow with the evidence."